Quickly scanning several trends in the different social networking platforms, one story had caught my eye, made me cry for several times, and encouraged me to write this article to honor her painful yet inspiring story. Three-year old Caitlin Soleil Lucas, or known as "Courageous Caitie" was diagnosed by doctors in Singapore with juvenile myelomonocytic leukemia (JMML), a rare blood cancer after several medical treatments yet unclear diagnosis in Manila .This condition is so rare that it strikes only one in a million children in the United States and has no recorded or known treatment protocol up-to-date. Despite her age, Caitie had shown astounding fortitude, composure, hope and positivity while battling the rare blood cancer. She braved out the needles, defied the odds, and took the pain and suffering on many occasions gracefully beyond her years. Caitie’s inspirational story of pain and bravery has been chronicled by her mother, Christine Feliz who set up “Courageous Caitie” a Facebook page for her daughter that has captivated thousands of people who had shown love, encouragements, prayers and overwhelming support for the family up to her last breath. Her brave journey ended last March 31, 2016 which left many people mourning. Her remains were flown back in Manila and was laid to rest and cremated last April 3, 2016 with a beautiful wedding-themed memorial service as she was handled by her parents to Jesus Christ in marriage (as a celebration of her sweet union with the Lord). Caitie’s father, Jericho Jose (Jayjay) wore a suit created by Francis Libiran, while Christine Feliz wore a beautiful pink dress of Mark Bumgarner. Courageous Caitie, a sight of a resting angel, wore a pink dress designed by Veluz Brides. The memorial service was complete with Storm Troopers (her favorite characters from Star Wars) people wearing formal attires and cartoony bandaids in memory of Caitie’s brave life, pink balloons and confetti. 1. Faith despite the pain. She was a clear example that faith knows no age. Despite the tormenting pain of going through different treatments with puncture wounds, multiple blood extractions and transfusions, bone marrow aspirations, countless bruises, excisions due to biopsies and other medical procedures, she remained to be positive and cheerful. 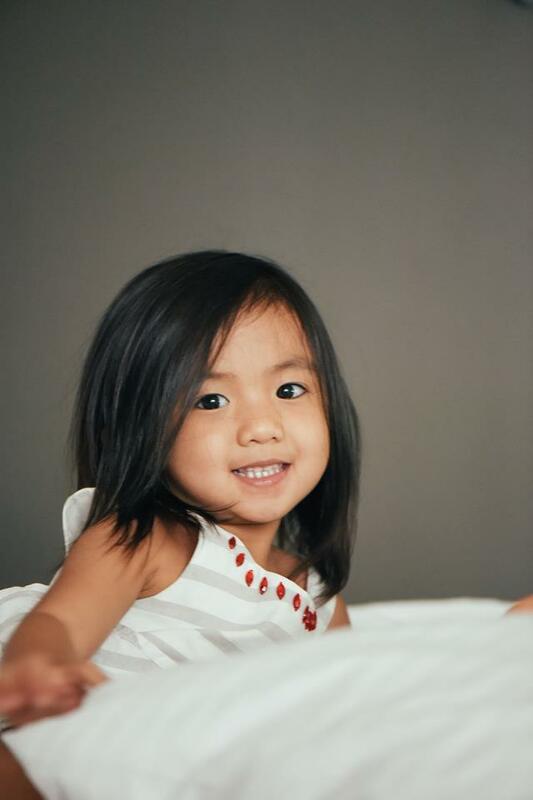 When Caitie is in pain, she would ask her parents to hold her hands or to distract herself with books, play her toys with them, watch videos, and for them to read her favorite Bible stories for comfort. 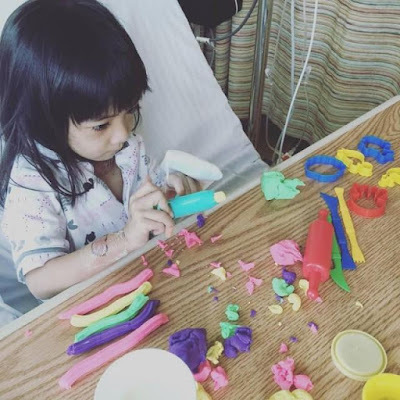 Despite being confined to the hospital for several months and even on her lowest blood mark, Caitie would continue to succumb to her favorite hobby of creating colorful arts and bright paintings. She was a “Pay It Forward” young girl and knew how to process pain so gracefully. Courageous Caitie was well aware of faith and to seek for Divine help. She constantly prayed for her healing for her and her family to go back home. The Lord had sustained her, giving affirmations that He has the control and has been faithful all throughout the journey. 2. The Band-Aid Coping. Caitie, according to JayJay (her father) loved to wear bandaids as it calmed, gave comfort and removed her anxieties. As humans, that is normally our defense mechanism of coping up with our battles and passing-throughs in life. We mask our pain, put plaster or build a wall for us not to appear vulnerable and weak. It is a reminder of comfort and solitude despite the pain. And yet, bandaids and plasters will never last. Eventually they will loosen up, revealing the wounds that we are trying to keep. Masking our pain and anxieties is just a temporary comfort. The most effective way of coping with the wounds is expose your weaknesses and to bring open your pain and vulnerabilities to the Lord who can give you a great deal of healing physically and spiritually. He is the Lord of Deliverance and He can sustain you until you are fully healed. He can make you whole again. To put back all the broken pieces together and will save you from the torments. God is the ultimate Rock and Father of comfort. He knows our pain and He will never leave us until He fulfills His purpose. Caitie has been very obedient and trusting to her parents. She believed her parents' comforting words, she faithfully trusted them, thus it hastened the procedures and the treatment. It is in her way, a sign of trust and total surrender to the Lord that everything will turn out well. 3. Delight Yourself with the Lord. Courageous Caitie had taught us to wholeheartedly accept whatever circumstances we find ourselves into and to delight ourselves in the Lord. She had delighted in her parents, thus they put their delight to the Father because that's the only thing that matters for Caitie and should be for them. Christine Fez during the worst time had at one point almost turned her back to the Lord. She was angry and apprehensive why of all the diseases; it had to be so rare. After crying her heart out in all honesty to God, she was able to realize that the journey is still better with the Lord because in Him there is hope. 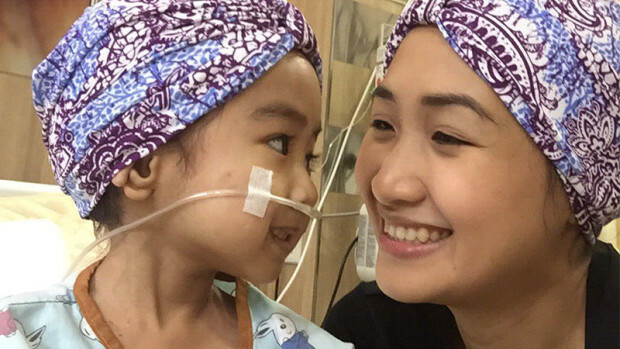 Jayjay and Christine decided to focus on the positive note, seeing daughter’s ailment not as a curse but rather a miracle and blessing brought to their struggling family. And they are grateful that despite of the loss, Caitie became an instrument for comfort and inspiration for the world to know that everything happens for a reason. 4. Generosity, Sympathy and Unity. Her inspiring and brave journey had touched a multitude of people and made a great social impact not only in the Philippines but around the globe. There were various groups from different sectors who wholeheartedly and willingly supported the family with fundraising events which include marathons, benefit dinners, photo sessions, makeup tutorials, garage sales and even some local artists had joined the charitable cause by selling up their works for an online bid. Courageous Caitie had restored friendships, moved and gathered even strangers to be united to help the family. Christine Fez recalls, that a lot of Filipino OFWs in Singapore dropped by in the hospital, giving them toiletries, money and even home-cooked meals. Some friends have tapped GoFundMe, (a crowd funding platform online) which helped the family immensely to raise money for Caitie’s treatment. Many hearts were touched by this little angel and there was an overwhelming support, prayers, comforting words all over the world. It is so assuring to know that indeed, genuine generosity, sympathy, help and love from humanity is still so much alive. That in times of help and despair, there are still thousands of people with Good Samaritan hearts out there who are so willing to help, serve and extend support selflessly. 5. Let the spark turn into flame and flame to be a fire that burns forever. Courageous Caitie’s brave story had tapped thousands of lives and ignited a spark. Now it is our turn to let the spark turn into flame and let it burn until the fire consumes us. Grow in the Lord. That’s how Caitie became a courageous warrior. Keep the faith and hope alive despite of any difficult circumstances that life may bring us. Her loss certainly didn’t go to waste. Her Facebook fanpage had garnered an astonishing 375,840 likes (and still counting). And those likers are not just random happy clickers. They are people whose lives were touched by our little angel’s unbelievable display of hope, faith and bravery. Caitie had gathered together parents who mourned as well with their children’s early demise to bring comfort of acceptance and moving on. And in a way the Holy Spirit is continually using the family to comfort others as they are also being comforted. Courageous Caitie’s life is a story not to give up and to defy the odds with faith and trust in the Lord. I am still teary-eyed as I recall all the overwhelming comments, comforting words and words of support that I have read from people who would like to extend their sympathy to Caitie’s family. 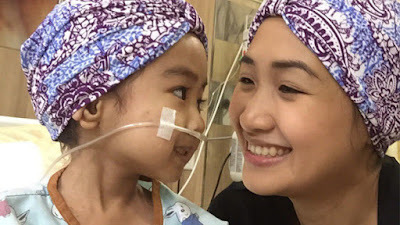 Like Christine Fez mentioned, her life is a greater testimony and those tiny limbs with marks and bruises will be reminders of Jesus’ own suffering battling His own wounds just to fulfill a promise of redemption and healing. I am so sure that Courageous Caitie is not just the only one who fought a good fight of faith. I am sure that there are thousands of “Courageous Caities” out there who had defied the odds and experienced pain and suffering, too. Their lives may be untold stories or unknown to some, or not as celebrated as Caitie’s but they are still great warriors nevertheless. The thing is, we never know what is ahead of us. We may be inflicted with sickness, down with despair and torments, of pain and suffering, of loss and wounds but will never be condemned in the eyes of the Lord if we surrender our life and every aspect of it to Jesus. Our God is the Alpha and Omega, the Author of life. No matter how we try to control our life, in the end, it is not our stories to keep, but Him who started it all. Rest now courageous angel, your story is something we will keep forever!